Fully managed, code-free data integration at any scale. 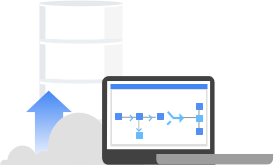 Data Fusion features a visual point-and-click interface that enables the code-free development of ETL pipelines. When combined with its broad library of data transformation blueprints, Data Fusion empowers a self-service model of data integration that removes expertise-based bottlenecks and accelerates time to insight. Data Fusion is built on the open-source project CDAP, and this open core ensures data pipeline portability for users. CDAP’s broad integration with on-premises and public cloud platforms gives Data Fusion users the ability to break down silos and deliver insights that were previously inaccessible. Data Fusion’s native integration with Google Cloud simplifies data security and ensures your data is immediately available for analysis. 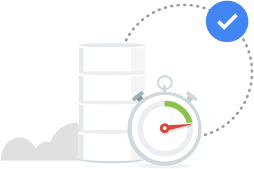 Whether you’re curating a data lake with Cloud Storage and Cloud Dataproc, moving data into BigQuery for data warehousing, or transforming data to land it in a relational store like Cloud Spanner, Data Fusion’s integration makes development and iteration fast and easy. Data Fusion offers both preconfigured transformations from an OSS library as well as the ability to create an internal library of custom connections and transformations that can be validated, shared, and reused across an organization. It lays the foundation of collaborative data engineering and improves productivity. That means less waiting for data engineers and, importantly, less sweating about code quality. Remove bottlenecks by enabling nontechnical users through a code-free graphical interface that delivers point-and-click data integration. Data Fusion offers the ability to create an internal library of custom connections and transformations that can be validated, shared, and reused across an organization. 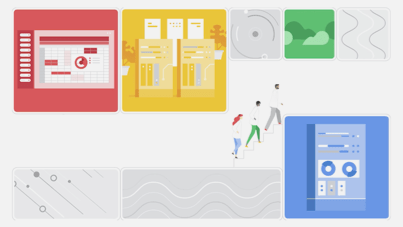 Fully managed, GCP-native architecture unlocks the scalability, reliability, security, and privacy guarantees of Google Cloud. Integration with Cloud Identity and Access Management (IAM) and Cloud Identity-Aware Proxy (IAP) provides enterprise security and alleviates risks by ensuring compliance and data protection. Search integrated datasets by technical and business metadata. Track lineage for all integrated datasets at the dataset and field level. REST APIs, time-based schedules, pipeline state-based triggers, logs, metrics, and monitoring dashboards make it easy to operate in mission-critical environments. Built-in connectors to a variety of modern and legacy systems, code-free transformations, conditionals and pre/post processing, alerting and notifications, and error processing provide a comprehensive data integration experience. Open source provides the flexibility and portability required to build standardized data integration solutions across hybrid and multi-cloud environments. 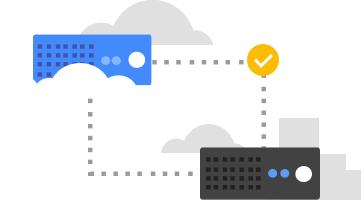 Cloud Data Fusion helps users build scalable, distributed data lakes on GCP by migrating data from siloed on-premises platforms. Customers can leverage the scale of the cloud to centralize data and drive more value out of their data as a result. The self-service capabilities of Cloud Data Fusion increase process visibility and lower the overall cost of operational support. Many users today want to establish a unified analytics environment across a myriad of expensive, on-premises data marts. Integrating data from all these sources using a wide range of disconnected tools and stop-gap measures creates data quality and security challenges. Cloud Data Fusion’s vast variety of connectors, visual interfaces, and abstractions centered around business logic helps in lowering TCO, promoting self-service and standardization, and reducing repetitive work. Cloud Data Fusion can help organizations better understand their customers by breaking down data silos, including the traditional silos of online and offline profiles. A trusted, unified view of customer engagement and behavior unlocks the ability to drive a better customer experience, which leads to higher retention and higher revenue per customer. The Basic edition also offers the first 120 hours per month per account at no cost. For further information on pricing, and for feature differences between Basic and Enterprise, please refer to Cloud Data Fusion pricing. Data Fusion lowers the barrier to entry for big data work by providing an intuitive visual interface and pipeline abstraction. This increased accessibility, combined with a growing collection of pre-built ‘connectors’ and transformations, translates to rapid results and in many cases allows data analysts and scientists to ‘self-serve’ without needing help from those with deep cloud or software engineering expertise.